DAVID LE/Staff photo. 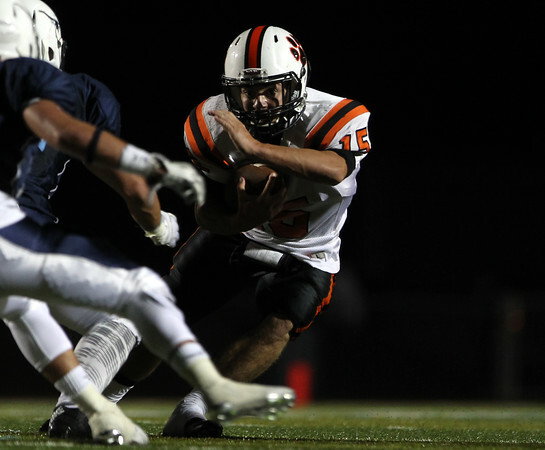 Beverly senior fullback Christian Miller (15) cuts upfield against Peabody. 9/25/15.